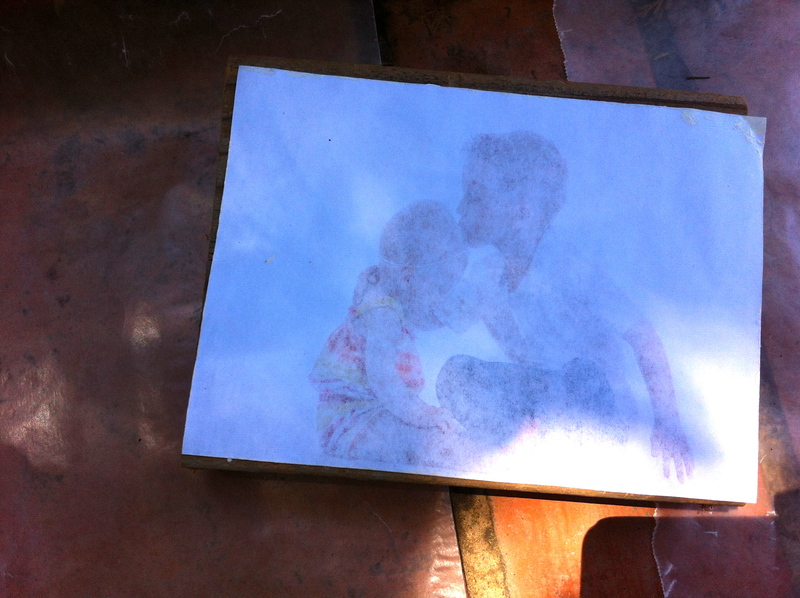 Have you ever heard of the photo transfer technique? 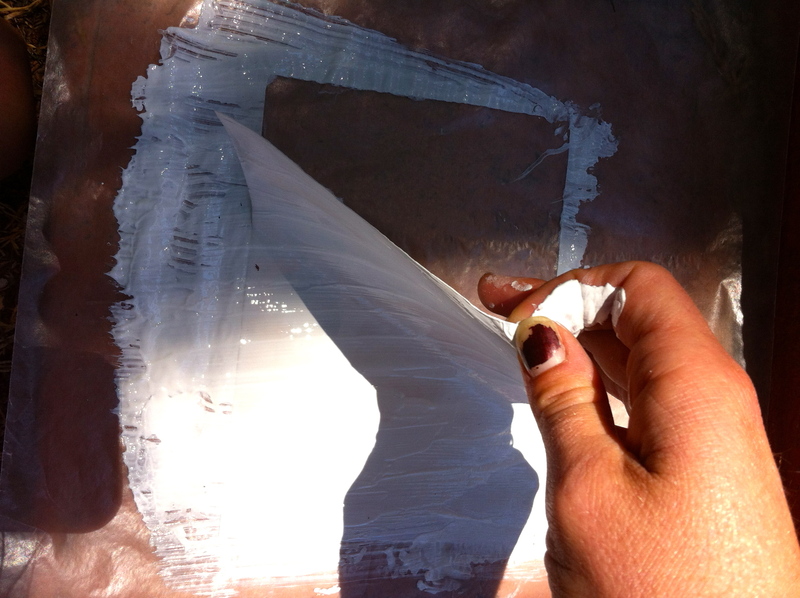 It is the idea of transferring black and white or color photos onto fabrics, wood, acrylics, tin, glass, or many other things. I like the idea of having a new way to display photos around my house. 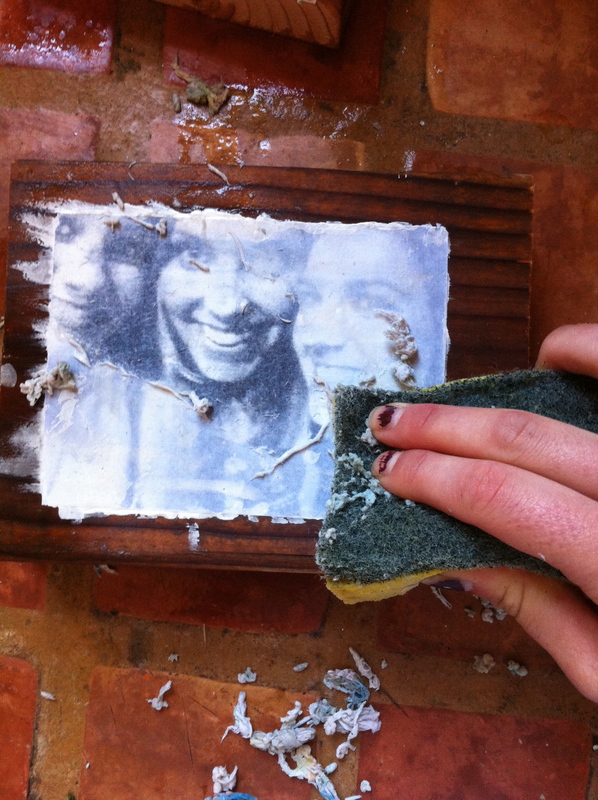 So, I decided to transfer one of my favorite photos onto a block of wood. 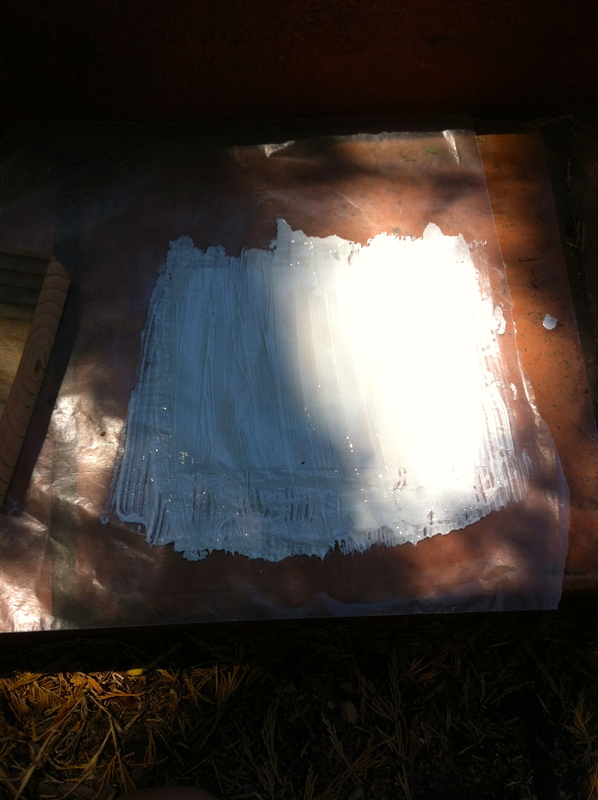 First, make sure you have a photo transfer medium. 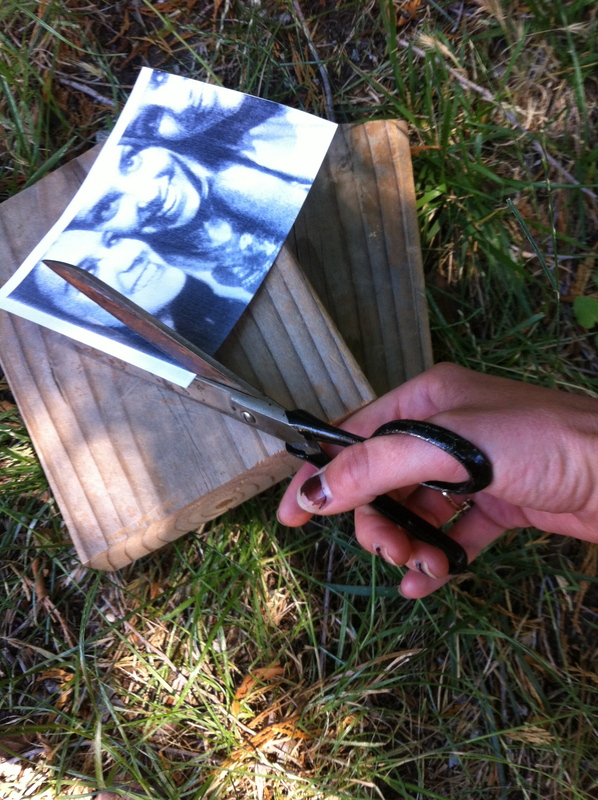 This solution is what actually transfers the photo. 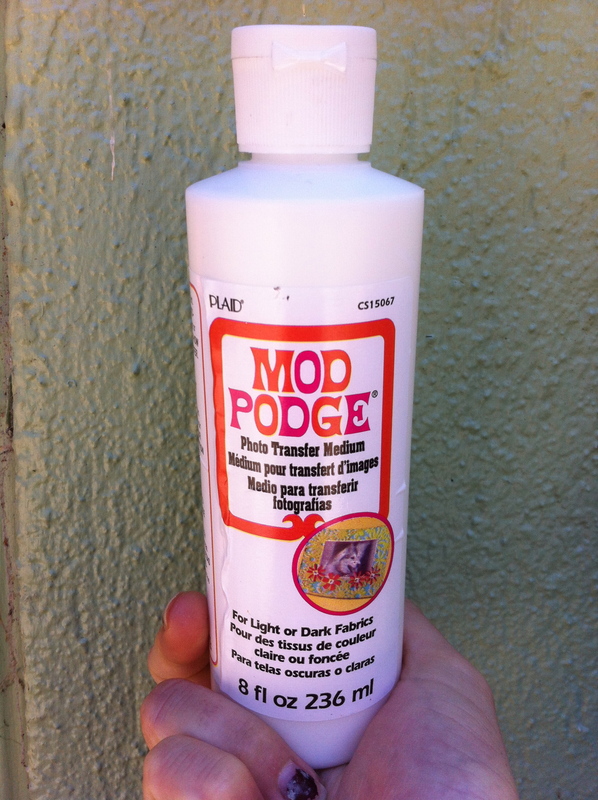 I found this Modge Podge brand is one of the best. It can be used to transfer black and white as well as color photos. 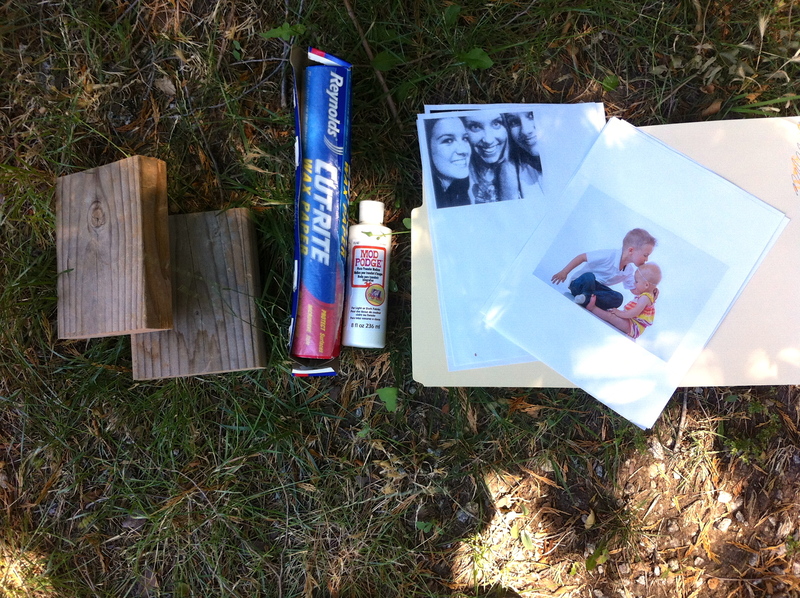 It can be found at any craft store, it is a pretty popular photo transfer medium. 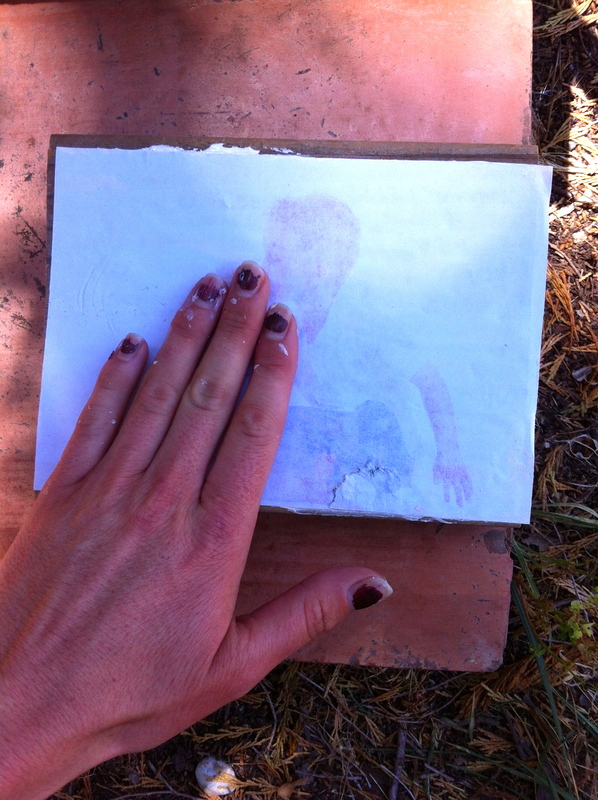 Step 2: Place your image, face up, onto a protected work surface, or wax paper. 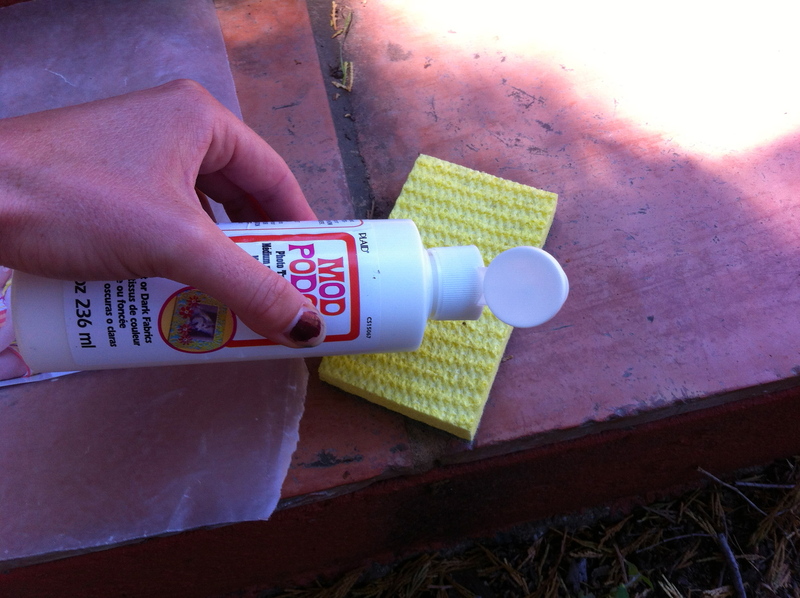 Step 3: Cover your image with a thick coat of the Modge Podge solution. Do it thick enough so you can no longer see the image. 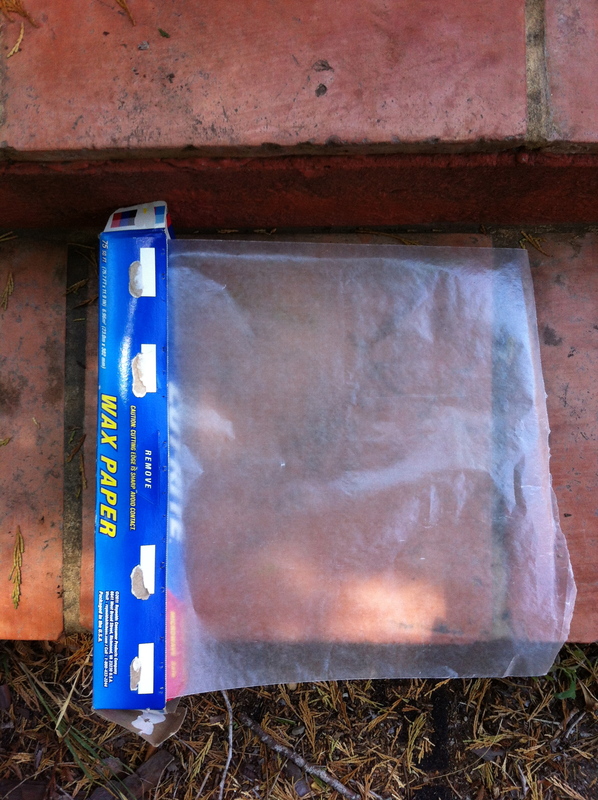 Step 4: Peel the image off the wax paper, and try not to touch it. I just barely touched it around the edges. 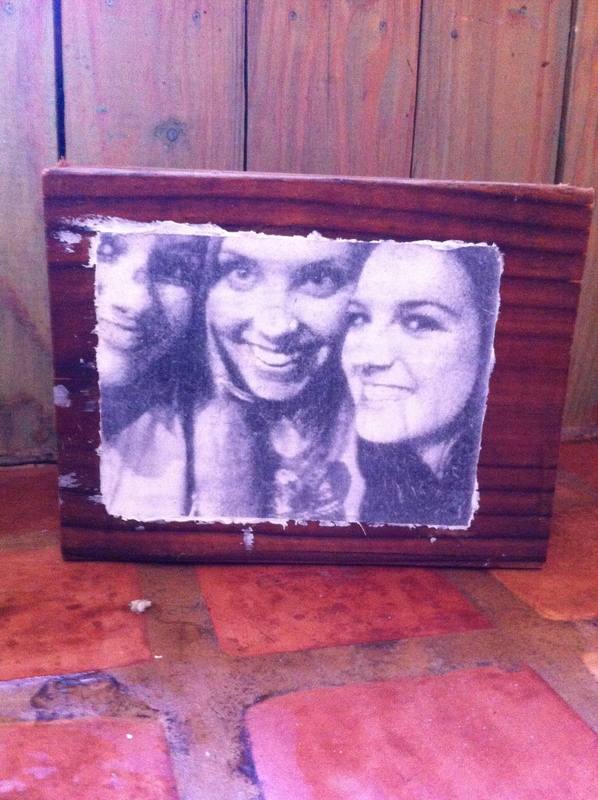 Step 5: Place your photo face down on the piece of wood exactly where you want it. Step 6: Gently smooth it out with your hands, so it seals to the wood. Make sure there are no air bubbles. Step 7: Let it dry for 24 hours! 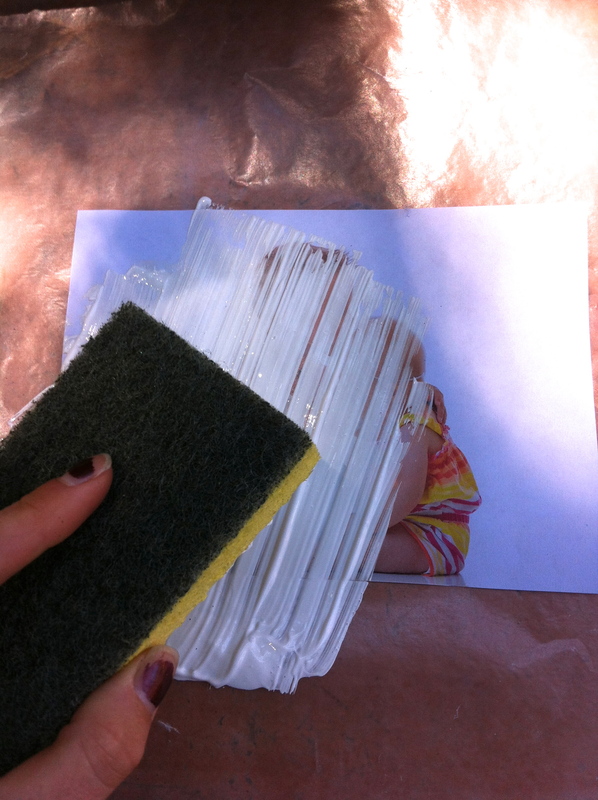 Step 8: Take a damp sponge with little water and go over your entire image. Cover all areas of the image with water, and you should start to see the image. Let this sit for 2 minutes, so the water will soak through. 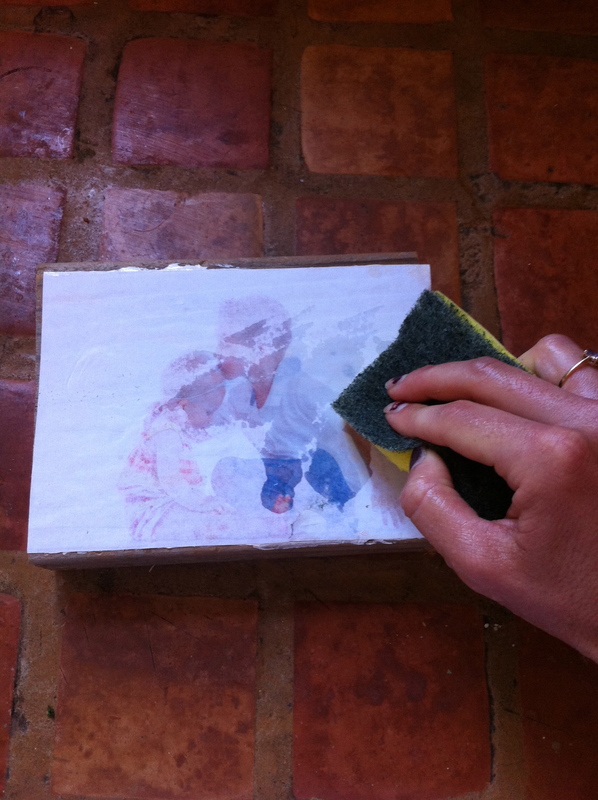 Step 9: After 2 minutes, take your damp sponge and go over your image. Do this right on top of the paper using circular motions. The paper should start to peel up. Go over the entire image and brush off the extra paper. You may have to do this a few times before it is nice and clean.